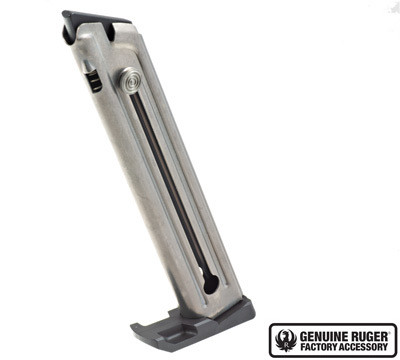 - Electroless Nickel steel, 10-Round, .22 caliber magazine for the Ruger® Mark IV™ 22/45™ and Mark IV™ 22/45 Lite®. New Electroless nickel finish is super slick... Feeds and Functions better, cleans easier. Does not fit Mark III 22/45. Factory part, nothing better than that.